First, I want to say for those who suffered damage in Kumamoto and Oita earthquake that people in Fukushima are with you. 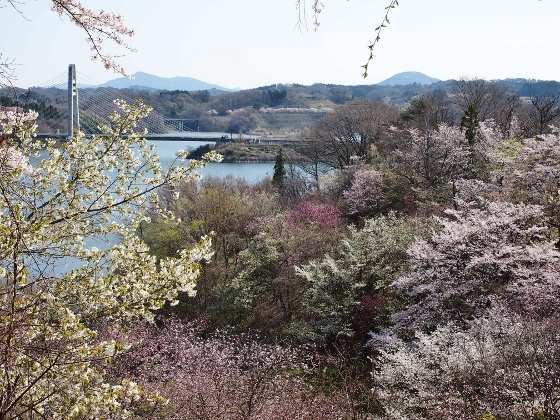 This morning, on the way of my daily bike training in Miharu Town, I took some pictures of Lake Sakura and Sakura Park. One of the pictures is shown above. Two other similar pictures are shown above. 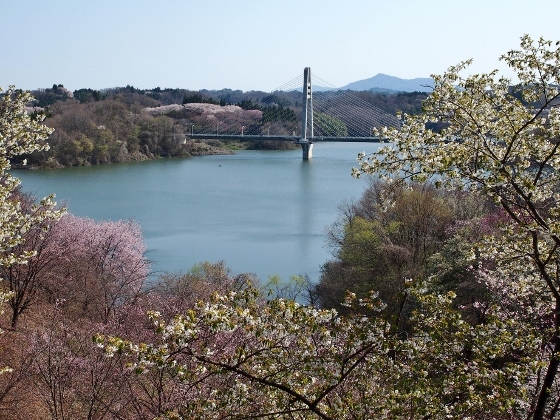 The lake was created by the Miharu Dam over the Otakine River for flood control. Surrounding area was planted with a variety of cherry trees. 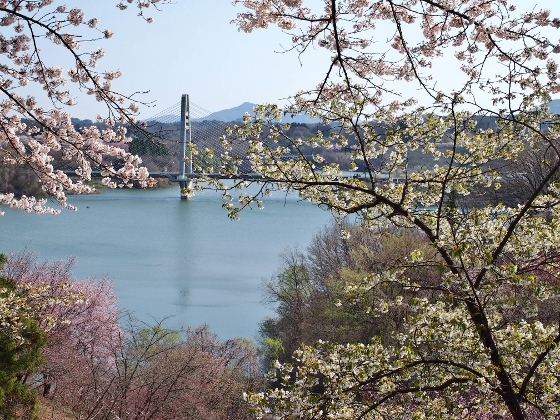 The location is near the famous Miharu Takizakura cherry tree. Today, I did not take GPS with me. 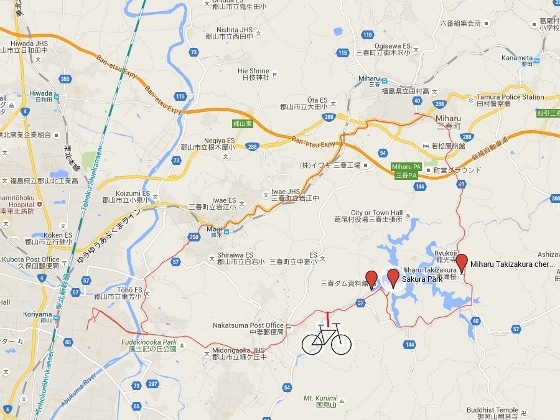 The exact route and location are the same as the map of April 11 shown again below.